In the previous post of SOAP webservice using JAX-WS we explored how to host a SOAP webservice and test it using JAX-WS, here we will host a REST webservice. 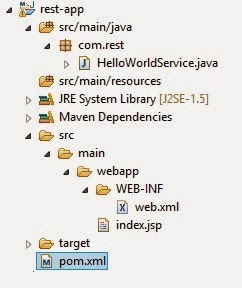 Create a web project using maven archetype maven-archetype-webapp. Below is the structure of the application. 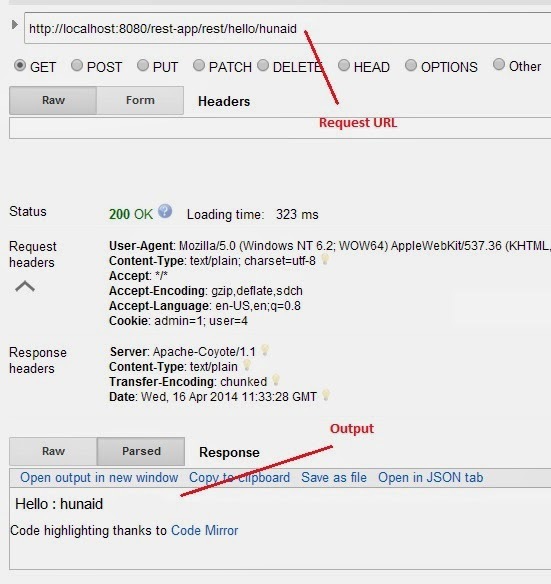 JAX-RS API is implemented by many vendors like CXF(Apache), ReasEasy(JBOSS), jersey(SUN). We will user the jersey dependency in the application. Add below tag in the pom.xml in dependencies tag. After deploying the application in you favorite web server. Open the browser and enter below url in it.